A member of the Lagos State Governor’s Advisory Council, GAC, Senator Anthony Adefuye, yesterday, disclosed how party leaders in Lagos East Senatorial District fought to secure the second term ticket for Governor Akinwunmi Ambode. Adefuye disclosed this at a reconciliation meeting held at CMD Shangisha in Lagos. Adefuye, the APC Lagos East Senatorial District Leader, said: “People accused us of removing Governor Akinwunmi Ambode. We saw this crack four months ago and we decided to meet with our Lagos Central Senatorial Leader, Alhaji Tajudeen Olusi and we went to see Asiwaju Bola Tinubu. “We asked Tinubu if there was any problem, and he said that there was a problem and he narrated it. 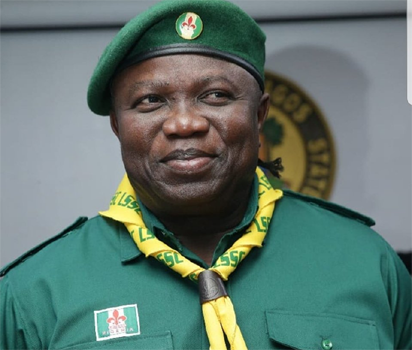 “We prostrated and asked him to call the Ambode and speak with him. “We left the place and started calling the Ambode to give him a hint of the meeting, but he did not pick our calls. Asiwaju Tinubu said that he was not picking his calls too. I actually tried my best. “We rose up to defend Ambode. We didn’t just follow Asiwaju like sheep, we fought and we tried. “Those of us in the East nearly burst into tears for the opportunity we lost in Lagos East. “I fought tooth and nail to make sure that the position was not taken away from us. It was a great opportunity that we lost. “Anyone that is not a party man should not be elected into positions. Take this advice and make sure you don’t make the same mistake.